Thank you for shopping with us! We truly appreciate your business. Call us and we will personally answer any questions you may have! Dennis and I live in Trail B.C. Canada. Dennis is known as Mr. C to friends, poppers to his children, and Dennis the menace to our neighbors (for his good fun loving character), and I am Polly, Dennis gave me that nick name when we met and the name stuck. 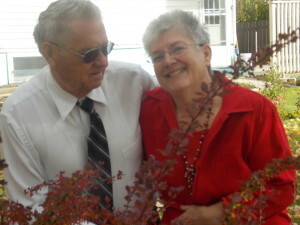 We started our comp any Cook Shoppe eight years ago when we retired and moved to Trail, B.C. We have had many hurdles to jump. First was learning to turn on the computer, create email address, join social media, and learn to operate a web page. A year ago we decided to create our own web page in word press (a course at Selkirk college and help from friends). and that is how Grain Mills Canada (grainmills.ca) came about. 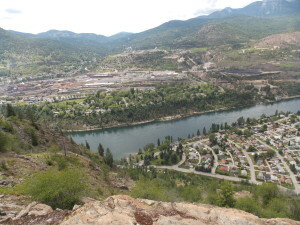 We like to hike on the hills and along the Columbia River, the view is terrific. Gardening, picking berries, wine making and baking keep us busy. Welcome to Cook Shoppe and our home.